Tacotopia Wrap Up - San Diego Dining Dish! 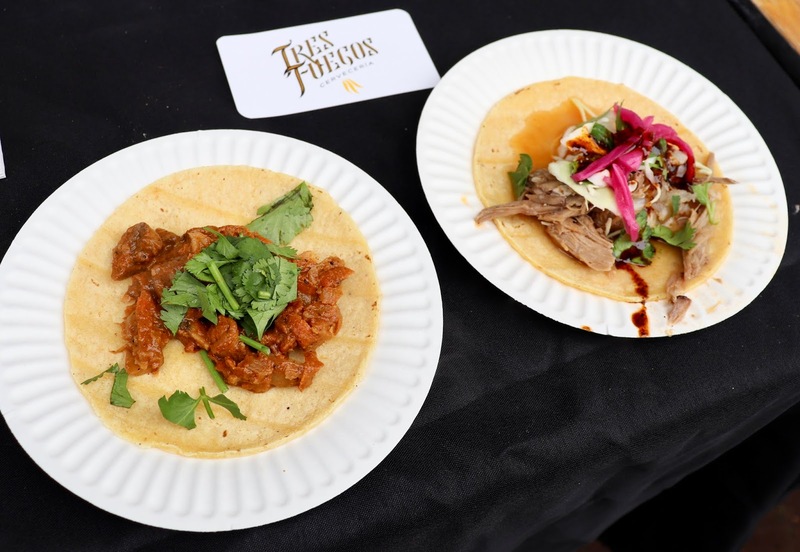 Last weekend marked the 4th annual Tacotopia competition, featuring samples of the very best tacos in the San Diego area. 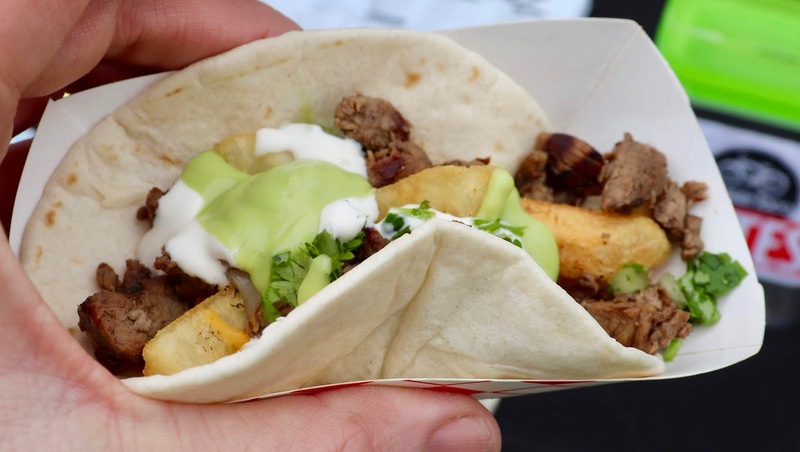 For the price of a ticket, patrons are treated to a bevy of over 50 different restaurants and breweries with pretty much all the tacos and beer one can hold. I make no apologies for a very picture-heavy post. 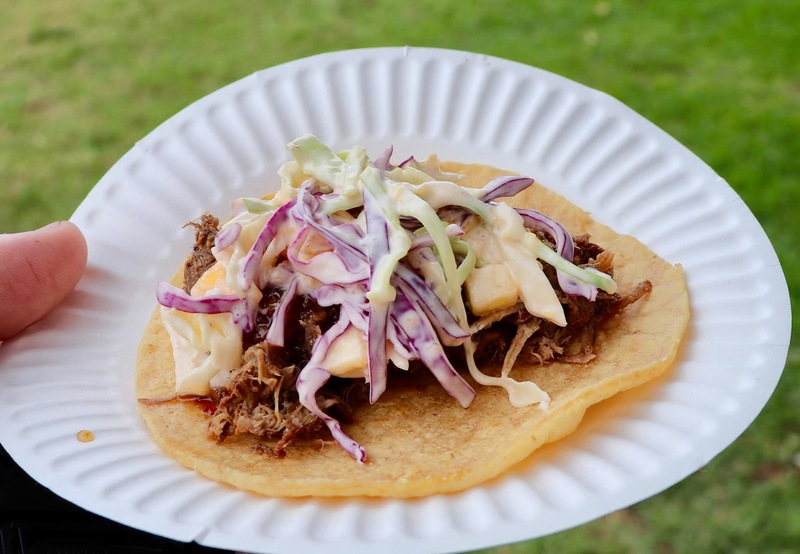 Dream along with me as I fondly remember the glorious tacos I ingested! 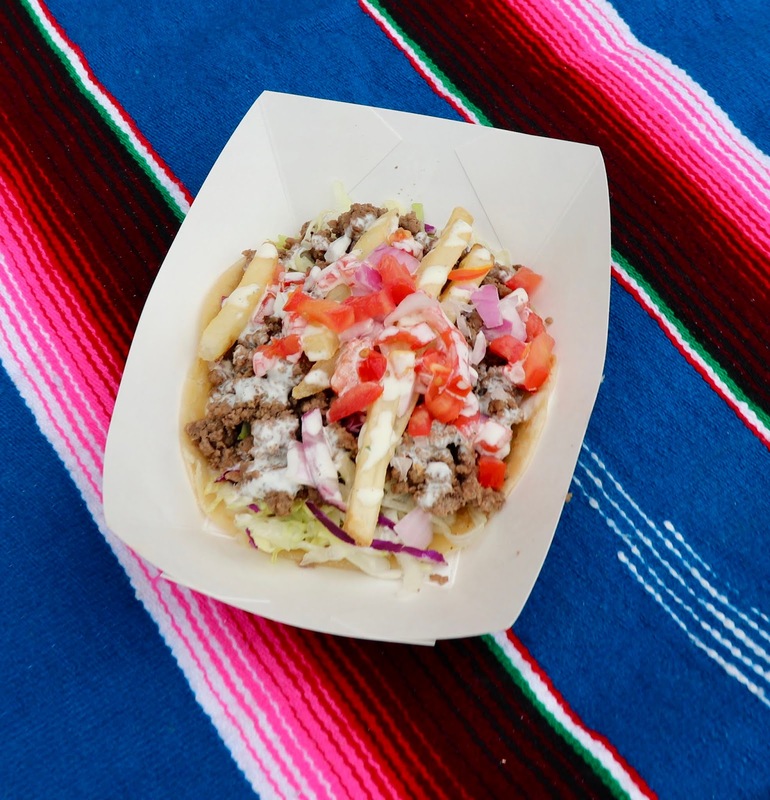 We started with the standby of Fred's Mexican, always consistent and delicious, with a California taco complete with french fries. All the way from Tijuana (a whole half hour!) was Tres Fuegos with two stupendous tastes. Longship Brewery is now on my list to check out. 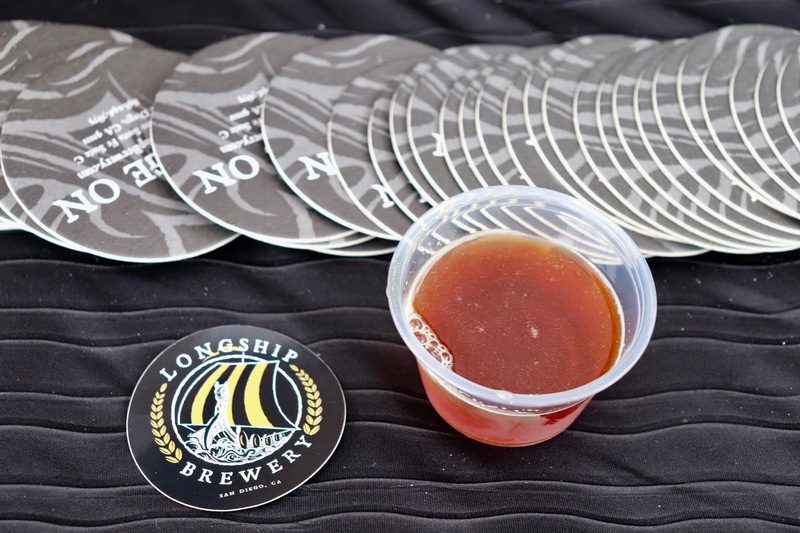 Kid-friendly and good beer. 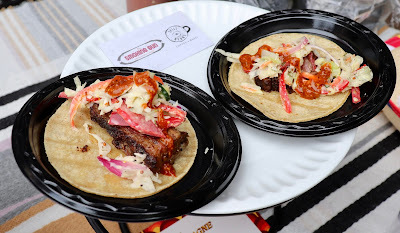 One of my favorite restaurants, Smoking Gun, is not known for their tacos, but that brisket really worked with plenty of flavor. 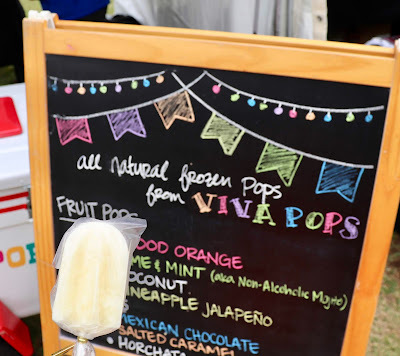 It wasn't hot the day of the event, in fact, everyone had jackets and pants, but San Diego weather always merits frozen Viva Pops. 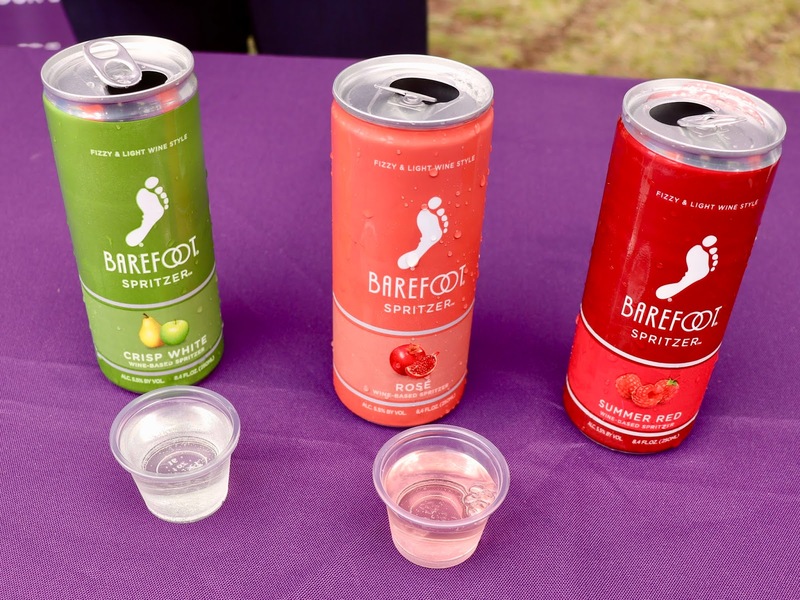 Try the Mojito flavor. 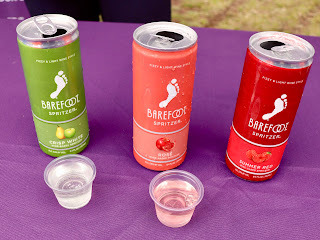 I remembered why I don't care for Barefoot Wines. Way too sweet and not even terribly refreshing (I figure if it's sweet, it should at least be refreshing), but no, just sickly sweet. 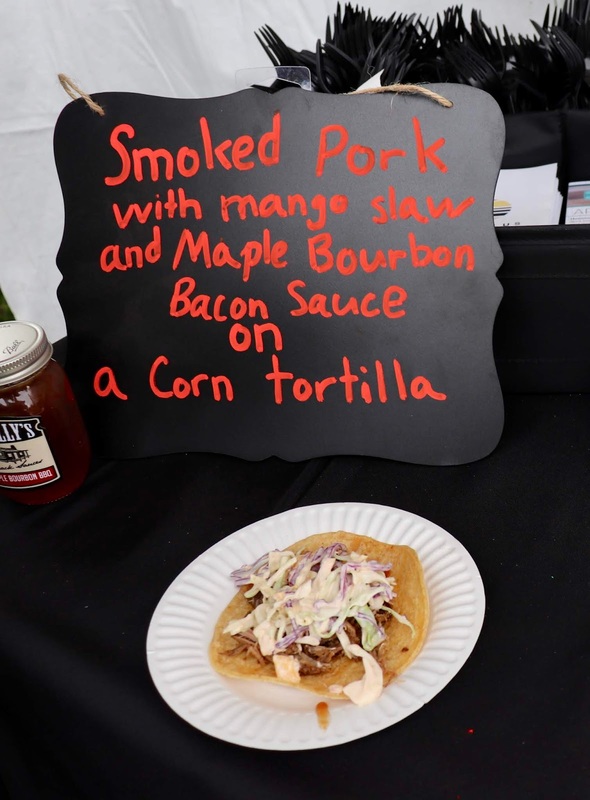 My favorite of the entire event was the smoky barbecue pork taco by Pillbox/Nautilus Tavern. Chef Shelly is a genius with sauces, and her smoky bourbon maple barbecue sauce was absolutely perfect cooled with a light mango slaw. Nautilus/Pillbox also offered a crabcake taco with plenty of flavor and spice, for something a little different among the pork and chicken. One of the winners from Tacotopia at the Track, Cruiser Taco, was back with a solid California taco. 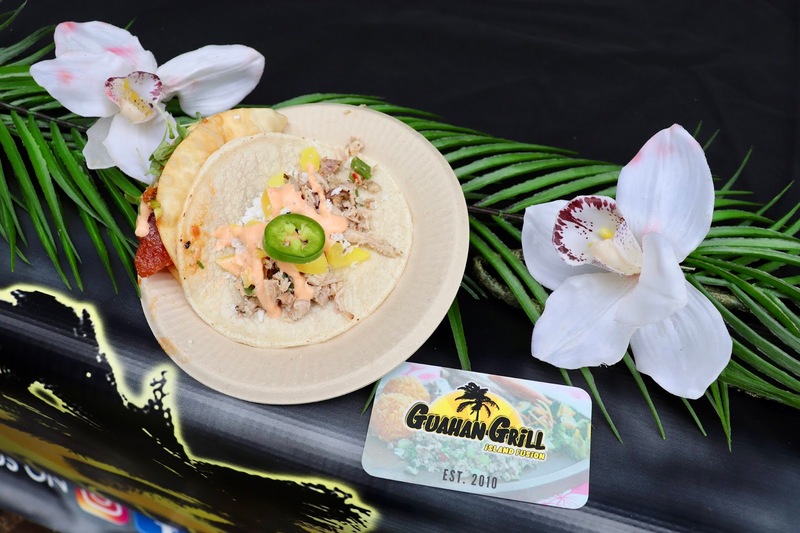 A great discovery was Guahan Grill, a restaurant featuring cuisine from Guam. 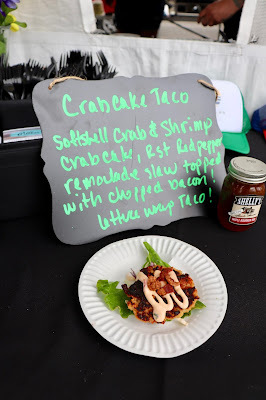 Their offerings were spicy and sweet with a beautiful set up as seen in my picture. I look forward to trying their full menu items. 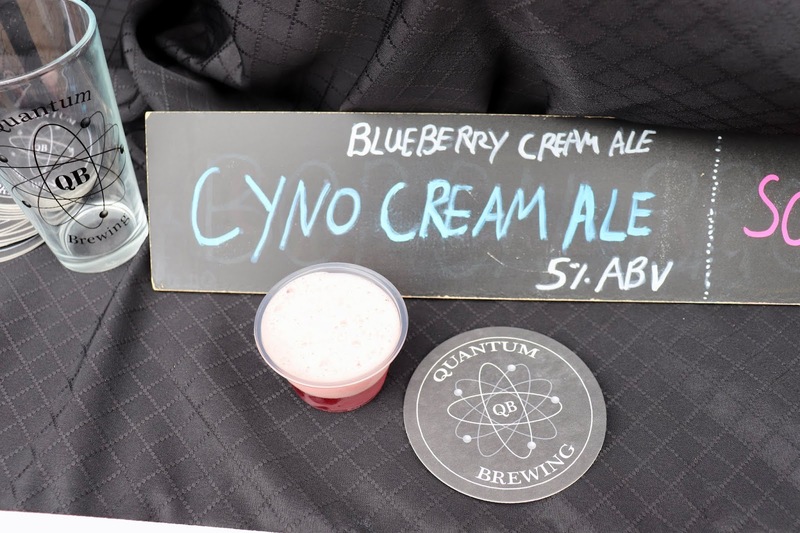 Another brewery to try that was impressively geeky, Quantum Brewery, with great beer to back up the kitsch. The blueberry cream ale was algebraic! 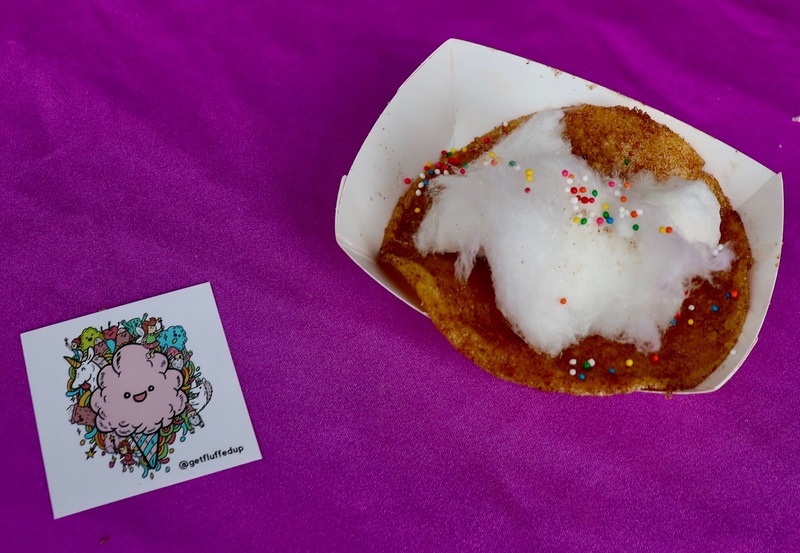 I'll wrap things up with this adorable dessert cotton candy taco from Get Fluffed Up. This company totally gets it, and has outstanding product to match all of their cute marketing. I love cute cotton candy stuff. This little taco was sweet vanilla cotton candy in a cinnamon dusted tortilla with sprinkles. Perfect! I missed a few of these but there were so many options that day! Nice seeing you there and look forward to the next chance encounter. Feel free to check out our recap too!